Home Rohit Sharma Kane Williamson India v/s New Zealand:- One blow doesn't unmake a summer. India v/s New Zealand:- One blow doesn't unmake a summer. Rohit Sharma, India Captain:- Pretty disappointing to not get to the finishing line. 210-odd was always going to be tough, and we were in the game right till the end, but New Zealand held their nerve well and they deserved to win. We started off well in the ODIs, and the boys will be disappointed not getting to the finishing line in the T20s. Lots of positives, and a few mistakes, so there's a lot of material to move ahead. It would have been nice to win the series and go home and play Australia, but unfortunately we couldn't do that. Kane Williamson, New Zealand Captain:- What a brilliant advertisement for T20 cricket. It's great to get across the line tonight. It was a fairly short series. The first performance was our best, and there were some learnings in the 2nd one. 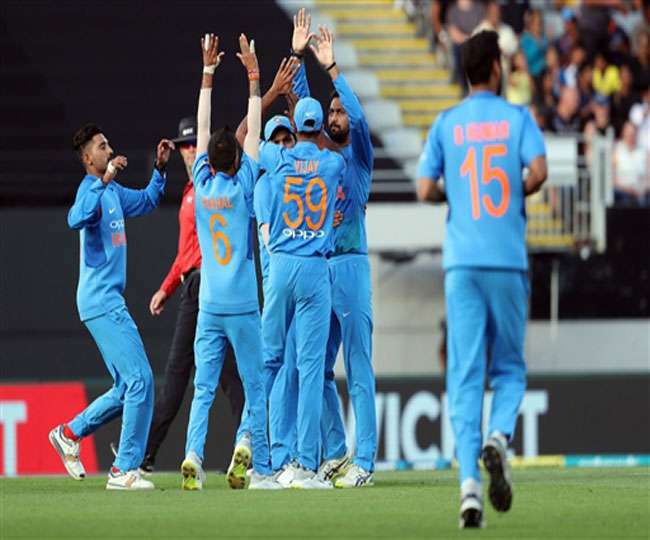 I knew India would come back strong, and it was a great series to be a part of. The nature of international cricket is such that we have to play Bangladesh at home now, so looking forward to that as well.